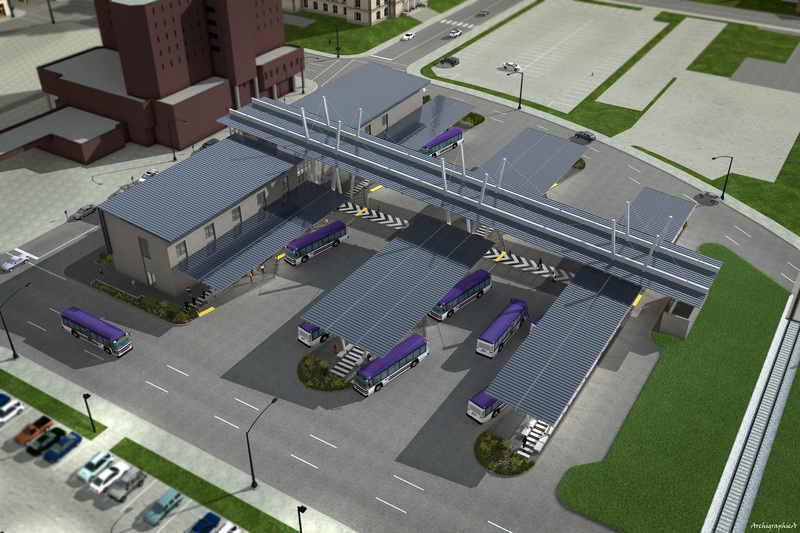 DART will be in D.C. this week asking for money for a new transit hub. The state has already set aside $4 million for the $20 million project, which would be built downtown south of Cherry Street between 6th and 7th. Design work has already begun. The soonest it would open is 2012. A new transit hub would move bus traffic off Walnut Street, where DART has little control over pedestrian traffic, and into a safer environment. Plus riders would have indoor waiting areas and a place to buy bus passes downtown, neither of which are available now. Taking the case for a transit hub to D.C. will be DART General Manager Brad Miller and Chief Development Officer Elizabeth Presutti. They are joining dozens of local leaders in the public and private sectors who are participating in the Greater Des Moines Partnership’s annual lobbying trip there. DART staff are making multiple applications to the U.S. Department of Transportation and the Federal Transit Administration for grant money for the $16 million needed to complete the funding for the project.